In terms of advertisement spending, about 1% of the total market size ($500 million) belongs to online ad spending in Pakistan, which translates into $5 million a year, according to a mobile survey company Ansr.io. KARACHI:f you are an urban dweller with some discretionary income and basic computer literacy, there is a fair chance that you have made at least one purchase via any online channel in the recent past. After all, e-commerce, a business model that encompasses sale and purchase of goods and services over the internet, is growing in Pakistan slowly, but steadily. Industry experts claim the estimated market size of e-commerce in Pakistan is between $25-30 million a year. “Last year saw a phenomenal spike in online selling, especially of fashion items,” Imagine-Ex Chief Ideas Officer Naveed Seraj told The Express Tribune. “Initially, t-shirts, wristwatches and books were sold via online media, but the chunk of fashion products has increased phenomenally recently,” he added. There is no specific e-commerce-related data about Pakistan. 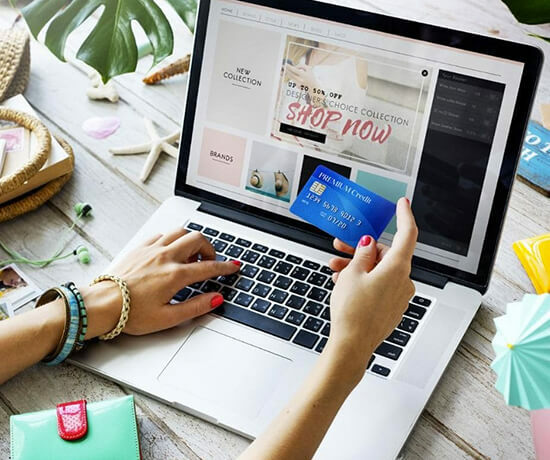 eMarketer, which collects and analyses data on e-commerce globally, says that sales through e-commerce will grow 18.3% to $1.3 trillion worldwide, as Asia-Pacific surpasses North America to become the world’s top market for business-to-consumer e-commerce sales. Notably, eMarketer includes Pakistan in the Asia-Pacific region. Seraj says Blue-Ex, which is the parent company of Imagine-Ex, works with about 700 ‘e-commerce merchants’ to move their goods worth on average Rs50 million every month. He says his company enjoys a market share of up to 85% in the logistics segment within the e-commerce industry. “E-commerce is growing rapidly, and we’re catching up with regional players like India, whose e-commerce industry bears structural resemblance with that of ours,” he said. Among the most popular Pakistani retailers with an e-commerce-based business model are daraz.pk, homeshopping.pk and tcsconnect.com. Interestingly, a large chunk of their business is carried out on the cash-on-delivery (COD) model, which involves paying for goods when they are delivered at the buyer’s doorstep. “I’d say 98% of the business in this industry is done on the COD model. That’s because very few people have credit cards here. Even those who have a credit card actually use it very reluctantly fearing theft or fraud,” Seraj said. Speaking to The Express Tribune, Pakistan Software Houses Association Member for IT & ITES Afaque Ahmed said he expected small and medium-size businesses to join the bandwagon of e-commerce after the 3G auction. “The introduction of high-speed mobile internet will boost e-commerce, and as a result, a lot of small businesses will start selling their products online,” he said. Seraj says another reason credit card payments are not popular is the lack of support infrastructure in the shape of acquiring banks, which process credit card payments for products or services for a merchant. “Online payments will become popular eventually,” he said, adding at least three banks have already soft-launched their services in this regard. “We should remember that COD is more popular than credit card payments even in India and Dubai,” he noted.